This 5th ICAET 2018 conference covers a wide range of fields in science and engineering technology and aims to bring together engineering technology expertise. The professional from the industry, academia and government to discourse on research and development, professional practice, business and management in the science and engineering fields are welcome to the 5th ICAET 2018. This conference enables interdisciplinary collaboration between science and engineering technologists in the academic and industrial fields as well as networking internationally. During the conference, there should be substantial time for presentation and discussion. In addition, poster sessions and exhibitions offer ample opportunity for information exchange among delegates and participants, especially for those who are looking for new opportunity between presenters and participants. Attendees will find various activities useful in bringing together a diverse group of engineers and technologists from across disciplines for the generation of new ideas, collaboration potential and business opportunities. 5th ICAET 2018 Conference book proceedings will be published by IOP science as IOP Conference Series: Materials Science and Engineering (MSE). All papers will be abstracted in SCOPUS, EI-Compendex, Conference Proceedings Citation Index – Science (CPCI-S) (Thomson Reuters, Web of Science), etc. 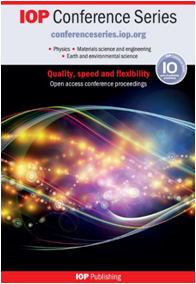 - In 2014, IOP Science published more than 30,000 journal articles. 4)Advanced branches of mechanical engineering such as mechatronics, computer engineering and robotics. 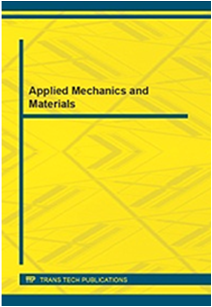 "Applied Mechanics and Materials" publishes only complete volumes on given topics, proceedings and complete special topic volumes. We do not publish stand-alone papers by individual authors. Authors retain the right to publish an extended, significantly updated version in another periodical. Papers of ICAET 2014 are indexed by EI-compendex, Scopus, and CPCI-S (Web of Science). indexing registration, by the conference editor. Copyright 5th ICAET Conference All rights reserved.